Seoul Station <-> Suwon Station: Line 1 (Blue) and Bundagn Line (Yellow), Appx. 60 mins. ※ Please note that buses at the Gimpo Airport International Line are expected to arrive in 5-10minutes earlier than the bus schedule below. ※ Buses via Suwon Station do not stop at Hanil Towon. 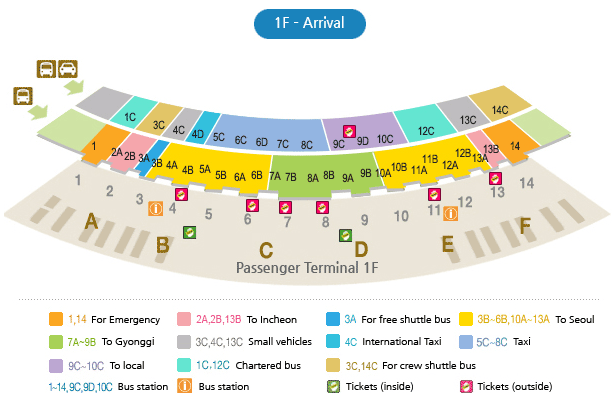 Please do check whether the bus is via Suwon Station before you get on the bus.